A flatbed design for a printer enhances quality and performance of any machine. Just from the physical look, this is not an output gadget for a home office but a commercial enterprise. 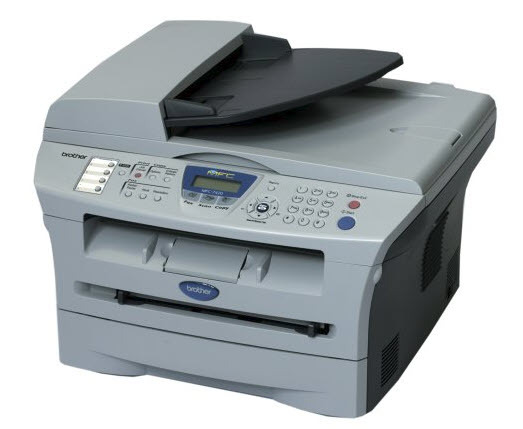 It runs multiple functions – print, scan, fax and copy. With its 35-sheet automatic feeder you are sure of fast print speed. It also means that if you also send tasks to the machine, they will run in a queue allowing you to run other office tasks. Other additional functions of the tool include 2400 by 600 dpi resolution as well as copy speeds of up to 20 pages in a minute. It supports duplex output functions. The input tray can accommodate up to 500 sheets before you even think of adding more. 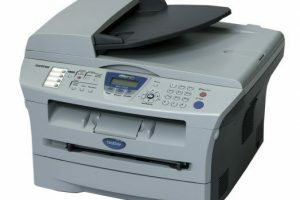 You can directly run any of the operations from a mobile device due to the wireless connections supported on the printer. When it comes to connectivity, you can also use USB and Ethernet systems depending on the third party digital devices. The connectivity interfaces are simple and intuitive. There is no complex installation process- an ideal feature even for a novice in multifunctional printers. Brother MFC-7420 Multi-Function Printer Driver is licensed as freeware for PC or laptop with Windows 32 bit and 64 bit operating system. It is in printers category and is available to all software users as a free download.